To introduce this topic, I need to provide you with a bit of background information, which I promise is different than our bios on the About page, where you can get to know more about Aspiring Winos, as well as our wine stories. Anne and I have always liked to play board games. Once, Anne saw a game which has since become one of our favourites. It was a complete impulse purchase, she saw it at a liquidation store – like a thrift shop for unused wares – and bought it. It’s called Sybarit. This game somewhat symbolizes a part of our personalities. Sybarit is short for sybarite, decidedly an obscure word – something Anne and I like – but it means “a person who is self-indulgent in their fondness for sensuous luxury.” A synonym is hedonist. The game is a trivia game where you are asked different difficulties of questions in one of four categories, food, etiquette, drink or random. Anne and I like cooking, we like drinking, we like learning and trivia games, and we also like etiquette and formal dinner parties. The thing about this game is that it makes you want more and more of all of those things. It’s basically a self-fulfilling hedonistic prophecy loop. Worse things have happened in life, than the pursuit of things making you happy causing you to pursue more things that make you happy! If you also like cooking, drinking, games and dinner parties, you should join us in the self-fulfilling hedonistic loop. Another step in our path to hosting over the top dinner parties, though not one that you necessarily need to take, was our choice of wedding registry items. Unlike most people our age, we only asked for china, crystal and silver. There’s a bit of backstory there, but the end result is that we have all the elements for a posh meal, so it makes sense to put them to good use. Side note, if you dig sterling silver flatware and serving ware (cutlery, in Canadian), buy it used. Used costs 10-20% of the price of new for place settings and 20-40% of new for serving ware. If you are Canadian, I recommend picking a Gorham pattern, instead of Birks, as a lot more has been manufactured, so it’s easier to source. Ebay is your friend. We host formal dinner parties a few times a year, that have 5-9 courses. Winos, this is where you should perk up. Obviously we could get together with our friends without putting that much effort in, but it is a good excuse to get out the white linen table cloth, the china and the silver. The crystal comes out every time we pop a cork anyway. Also, Anne loves plating things,and this gives her several tries in one night, an excuse to do it, and more people to appreciate her effort. However the best reason to have a multi course dinner party is that you can’t justify opening four of five different wines to pair with the meal, when there is only two of you eating. I mean, sure, you can open and drink two, maybe getting to three, bottles in an evening by yourselves. But seven? Now, introduce several more adults into the mix and you have solved your dilemma. A key skill when it comes to wine is the ability to pair wine with food. 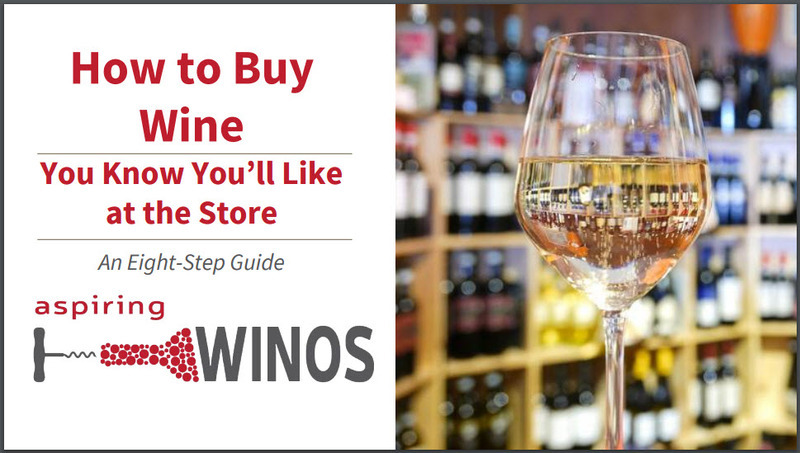 The larger your repertoire of wine tastings and the more you practice pairing, the higher your chances of success. Food and wine pairing is a learned skill, that often contains a bit of luck when you are selecting a new vintage or brand new-to-you bottle. Hosting a dinner party is a wine pairing exercise. It also gives you the opportunity to compare different pairings back to back, another part of the gastronomic puzzle. To summarize, winos should host dinner parties for research. Because, for us, drinking wine is research! Why does it work so well? Is it because we figured out how to get wine into the course twice? Not quite. The acid in the wine and the bubbles in the wine cut the fat of the brie. The pears also offered a culinary cut to the fat, as well as a textural depth to the dish. Normally, at least to me, when you eat brie or another fatty food,the first bite is the best. It’s the best when you mouth isn’t covered in fat, limiting your taste buds. The cava in the pairing cut the fat so well, that each bite of the brie was like the first bite all over again. Additionally, the pear provided a flavour similar to the apple and lime notes in the wine, and was a texture change. Also apples and cheese go together. Any toddler can tell you that. On the off chance that you needed an excuse to have fun, we’ve now given you an excellent list of reasons winos should host dinner parties. What was the highlight of your last dinner party?